Mamma Mia! Here We Go Again was premiered at the Hammersmith Apollo in London on July 16, 2018, and was released in the United Kingdom and the United States on July 20, 2018, ten years to the week after its predecessor’s release, in both standard and IMAX formats. The film was a box office success, grossing over $394 million worldwide and received generally positive reviews, with critics praising the performances and musical numbers. The film is a 2018 jukebox musical romantic comedy written and directed by Ol Parker, from a story by Parker, Catherine Johnson, and Richard Curtis. 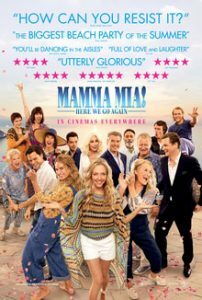 It is a follow-up to the 2008 film Mamma Mia!, which in turn is based on the West End/Broadway musical of the same name using the music of ABBA. The film features an ensemble cast, including Lily James, Amanda Seyfried, Christine Baranski, Julie Walters, Pierce Brosnan, Andy García, Dominic Cooper, Colin Firth, Stellan Skarsgård, Jessica Keenan Wynn, Alexa Davies, Jeremy Irvine, Josh Dylan, Hugh Skinner, Cher, and Meryl Streep. Both a prequel and a sequel, the plot is set after the events of the first film, and also features flashbacks to 1979, telling the story of Donna Sheridan’s arrival on the island of Kalokairi and her first meetings with her daughter Sophie’s three possible fathers. What Ever Happened to Baby Jane? is a 1962 American psychological thriller-horror film produced and directed by Robert Aldrich and starring Bette Davis and Joan Crawford. The plot concerns an aging former actress who holds her paraplegic ex-movie star sister captive in an old Hollywood mansion. The screenplay by Lukas Heller is based on the novel What Ever Happened to Baby Jane? by Henry Farrell. Upon the film’s release, it was met with widespread critical and box office acclaim and was later nominated for five Academy Awards, winning one for Best Costume Design, Black and White. The intensely bitter Hollywood rivalry between the film’s two stars, Davis and Crawford, was heavily important to the film’s initial success. This in part led to the revitalization of the then-waning careers of the two stars. In the years after release, critics continued to acclaim the film for its psychologically driven black comedy, camp, and creation of the psycho-biddy subgenre. The film’s then-unheard of and controversial plot meant that it originally received an X rating in the UK. Because of the appeal of the film’s stars, Dave Itzkoff in The New York Times has identified it as being a “cult classic”. 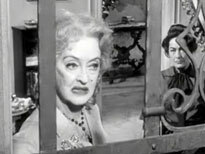 In 2003 the character of Baby Jane Hudson was ranked No. 44 on the American Film Institute’s list of the 50 Best Villains of American Cinema. 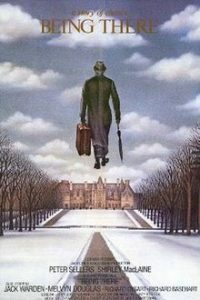 In 2015, the United States Library of Congress selected Being There for preservation in the National Film Registry, finding it “culturally, historically, or aesthetically significant”. It was nominated for seven Academy Awards and won four, including Best Picture and Best Original Screenplay. It is ranked 19th in the British Film Institute’s list of Top 100 British films. The film is also notable for its memorable electronic theme tune by Vangelis, who won the Academy Award for Best Original Score. 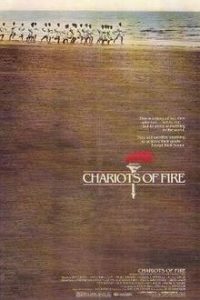 The film’s title was inspired by the line, “Bring me my Chariot of fire!”, from the William Blake poem adapted into the popular British hymn “Jerusalem”; the hymn is heard at the end of the film. The original phrase “chariot(s) of fire” is from 2 Kings 2:11 and 6:17 in the Bible. 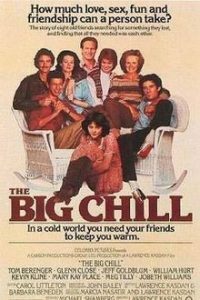 The Big Chill is a 1983 American comedy-drama film directed by Lawrence Kasdan, starring Tom Berenger, Glenn Close, Jeff Goldblum, William Hurt, Kevin Kline, Mary Kay Place, Meg Tilly, and JoBeth Williams. The plot focuses on a group of baby boomers who attended the University of Michigan, reuniting after 15 years when their friend Alex commits suicide. Kevin Costner was cast as Alex, but all scenes showing his face were cut. 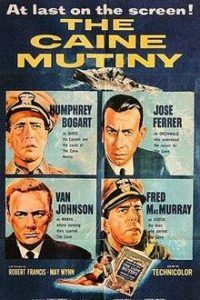 It was filmed in Beaufort, South Carolina. The soundtrack features soul, R&B, and pop-rock music from the 1960s and 1970s, including tracks by Creedence Clearwater Revival, Aretha Franklin, Marvin Gaye, The Temptations, The Rolling Stones, and Three Dog Night. The Big Chill was adapted for television as the short-lived 1985 CBS series Hometown. Later, it influenced the TV series thirtysomething. 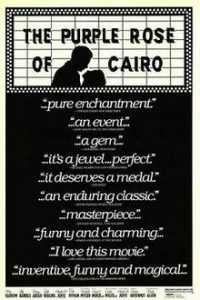 The Purple Rose of Cairo is a 1985 American romantic fantasy comedy film written and directed by Woody Allen, and starring Mia Farrow, Jeff Daniels, and Danny Aiello. Inspired by Sherlock Jr., Hellzapoppin’, and Pirandello’s Six Characters in Search of an Author, it is the tale of a film character named Tom Baxter who leaves a fictional film of the same name and enters the real world. 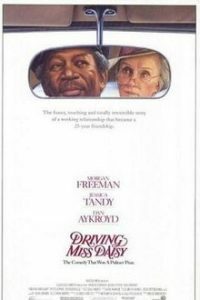 Driving Miss Daisy is a 1989 American comedy-drama film directed by Bruce Beresford and written by Alfred Uhry, based on Uhry’s play of the same name. The film stars Jessica Tandy, Morgan Freeman, and Dan Aykroyd. Freeman reprised his role from the original Off-Broadway production. The story defines Daisy and her point of view through a network of relationships and emotions by focusing on her home life, synagogue, friends, family, fears, and concerns over a 25-year period. Driving Miss Daisy was a critical and commercial success upon its release and at the 62nd Academy Awards received nine nominations, and won four; Best Picture, Best Actress (for Tandy), Best Makeup and Hairstyling, and Best Adapted Screenplay. It was initially scripted by screenwriter Carl Foreman, who was later replaced by Michael Wilson. Both writers had to work in secret, as they were on the Hollywood blacklist and had fled to England in order to continue working. As a result, Boulle, who did not speak English, was credited and received the Academy Award for Best Adapted Screenplay; many years later, Foreman and Wilson posthumously received the Academy Award. The film was widely praised, winning seven Academy Awards (including Best Picture) at the 30th Academy Awards. It used lush colour to bring out the British stiff upper lip of the colonel, played by Alec Guinness in an Oscar-winning performance. In 1997, the film was deemed “culturally, historically, or aesthetically significant” and selected for preservation in the National Film Registry by the United States Library of Congress. It has been included on the American Film Institute’s list of best American films ever made. 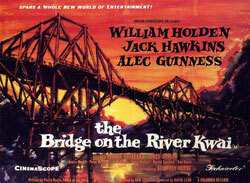 In 1999, the British Film Institute voted The Bridge on the River Kwai the 11th greatest British film of the 20th Century. 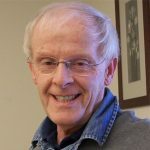 Art Ray is a graduate of the University of Maine in electrical engineering and retired after 35 years at CMP. A student of UMASC since Fall 2003. Art does PowerPoint lectures on art and Maine local history for the Granite Hill/Brown Bag programs. 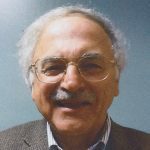 Peter Ezzy is an early supporter of Maine Senior Colleges and currently serves on the UMA Senior College Curriculum Committee. He recently retired from State service after working in the human services program area for over thirty-three years. He also served as a reserve officer with the Maine Emergency Management Agency. After completing undergraduate and graduate studies at UM at Orono, he served proudly in the USAF. 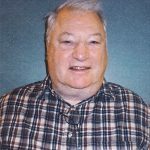 He is also active with the Maine Association of Retirees. He is an avid gardener and outdoorsman.